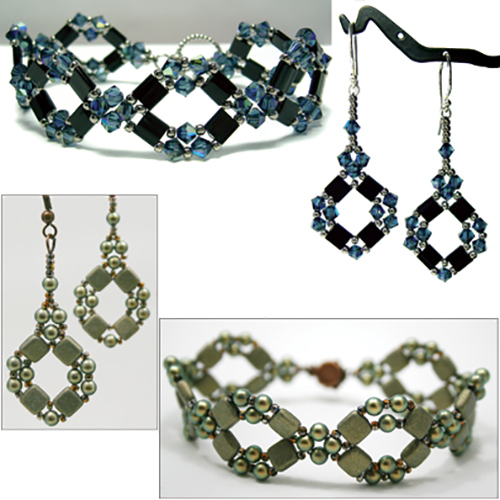 The Diamond Tila pattern is fully illustrated with detailed step-by-step instructions for a bracelet and matching earrings. Although originally designed in 2011 to use Miyuki Tila beads and 4mm bicone crystals, it was updated in 2018 for some new two-hole beads. The design works beautifully with Czech two-hole 6x6mm Tile beads and Czech two-hole 5x5mm Tile Mini beads instead of Miyuki Tila beads. 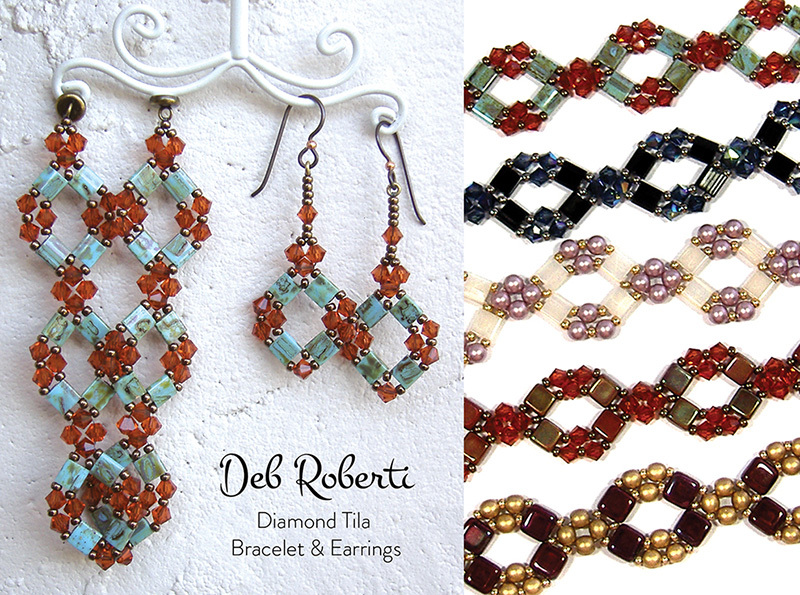 In addition, pretty much any 4mm bead will work instead of 4mm bicone crystal beads, making this pattern very versatile.